Go back and look at Gurley highlights and tell me how many of his big runs have Saffold down field blocking. Saffold was pro bowl level. He should be extended not traded. But that's just my opinion, keep him at Guard and we're golden. Especially in a couple years when Whitworth is gone and we have a younger LT next to him his experience will be key. While we might be able to upgrade him wouldn't it be better to keep him and upgrade the RG position and have a really strong line? And your scenario wasn't upgrading him you asked about Brown and Havenstein as our two guards that's a downgrade. I guess the real question is Brown or Saffold? I'm leaning more towards Brown. He showed more potential and he's younger and cheaper. The real upgrade would come at RT. Again, I have to say I believe Havenstein could develop into a pro bowl Guard. I understand the reservations about him working in tight space. But like you said, watch the Gurley runs, there is a lot of movement from the guards. I feel like Havenstein has that mobility and size. If it's one or the other, I would keep Saffold, however the upgrade at RT would have to be fairly large for me to get rid of either. As it's been said, guards are more important in our scheme, and continuity on the offensive line is huge for the entire offense. Saffold or Brown battle I think most everybody around here will side with Saffold. Havenstein may be able to develop into a good RG but why bother? Like Brown he's coming up to the end of his rookie deal. Likely to get a pay raise if he sticks around even if it's a minor raise. For my money I'm replacing both in the next year or two with other veterans, Kromer as LBC has his preferred type of player and should be able to find a replacement in the draft or free agency. It's your deal you're running this show but you asked for input so I'm just throwing my 2 cents out there. If you can replace either guy on the right side in free agency or the draft I'm all for it. I'd leave the left alone, likely extending Saffold maybe reducing his 2018 cap hit a million or two and giving him guaranteed money down the line which he doesn't have right now since the guaranteed money is what the football players are all about. This years draft is so deep on interior OLine you could find a starter on day 2 or early day 3. I have offers for both Saffold and Brown. I am not moving them till after free agency, I may use one of them to upgrade a position or move up in the draft depending on what I can land. I do want to upgrade the position though. I like both of them but I don't love either of them. So if I can land a better player on a longer deal that would mean moving either of them. Due to the continuity issue I would be hesitant to moving both of them. With this trade I cleared up 11 million in cap space, this trade also effectively means I will not be resigning Sammy Watkins. Watkins would cost me at least 12 million a year and I am not willing to spend that on him. 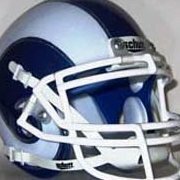 I am looking forward to seeing how McVay and Djax sync up in our offense, they had 3 great season in Washington and gives us that home run deep threat that Watkins was supposed to be last year. He will also cost us about 3 million in cap space so a bargain. We also get an additional third round pick where we can still draft a potential starter. Not only did Talib have his best years under our D Coordinator but he also brings us some much needed playoff experience. We get a Super Bowl champion CB for a fourth round pick. It also takes some of the pressure off resigning our CBs. I will focus on bringing NRC back and will keep negotiating to see if I can bring a number 2 corner or resign Trumaine. Let's see how FA pans out. Max Garcia was more of a depth pick up, he is a bit light to start at Guard for us, but he was a good relief guard for Leary last year and he can also play Center. I also don't see why he can't put on some weight and develop into a guard. Either way this was a developmental depth pick up for Kromer to work on. Wanted to know what you guys thought of moving Baron to ROLB, He played the position in the 4-3 and Greg Williams called him our best "get ball kind of guy" he is undersized for our ILB needs but maybe he is tough enough to pass rush and he sure helps out a lot when dropping into coverage. Trying to find a way to fit him into our scheme, he is such a flexible guy, if I can't find a buyer I would hate to just flat out cut him. Interesting trades, not sure how you're counting DJax as only $3 million in cap space. His cap hit this year is $11 million and next year it's $10 million. Granted we aren't signing Watkins but we'll have to replace Quinn so that could eat up some of the cap. But the trade is Quinn for DJax so that's about even on salaries. 8 million is dead cap with the Bucs. So we only pay 3 this season and then yes, 10 next season. I like the Quinn trade. I'm not a big fan of the Talib and Garcia trade. But we all see things differently. Barron cannot play OLB in the 3-4. Our options are to trade him or cut him. I went by the trade block sheet they provided, crap. Not the end of the world, but I learned my lesson. 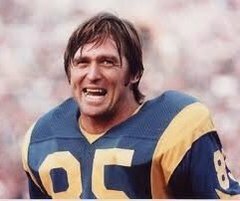 Originally I planned on resigning Sullivan, he was a leader in our team and helped guide Goff. However, analyzing the market he is the most expensive Center on the market right now. I could go for names like Killgore or Spencer Long and grab them for at least half if not less than what Sullivan is asking for. So he is expensive... 8 million. Yes. However, cutting, trading, whatever I do, we keep 5 million in dead cap and save 3 million on him. I am not finding much in the way of people interested in trading for him. Cutting him seems to be the only option at this point. Is that really worth it? By my calculations, I don't think I'll need the extra 3 million in cap room, if I do, I can always just cut him. But right now, if I can't get anything for him, I think I'll just keep him. He was pretty good this year as a trick play change of pace RB. Why not just give the man another year? I am not even considering him a WR at this point, just a RB. Also, I know it doesn't mean anything for a "Mock" but I am going to make room to extend Donald. 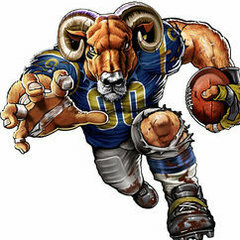 I feel like it's important for the game for us to act like we would in real life, so even though I may never bear the fruits of extending the best defensive player in the game I will be treating it as a priority, like the Rams will this year. Cut Austin and use the $3 million to sign Sullivan.